Many organizations and service providers who employ temps spend a lot of time and money on resolving staff management. Norwegian company STEPIFI decided to change that and create an on-demand staffing app that makes substituting labor efficient and cost-effective. The idea got its start from the bottlenecks in Norwegian schools and kindergartens, where finding temporary staff is almost a daily challenge. It is common to use temp agencies for this, but this method can be expensive. This was the seed for the plan to start a platform that would create an on-demand staffing app for the interested parties to get in contact with each other directly – without any middleman. 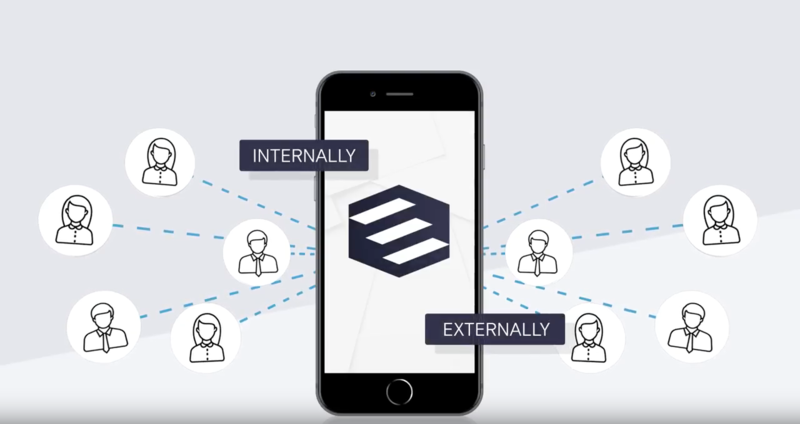 Internal – Resolve staffing with other full-time employees of the organization. This ensures quality. External – Request supply temps with direct relations to the organization. This ensures efficiency. Applications are always full of intriguing technical challenges, which makes them interesting to develop. Helmes was responsible for the apps interface, design, UX and database solution. The recruiting organization has the possibility to send out a request for finding a temp by adding date, time, topic, requirements, and other information to either internal, external, or both contact bases. Or, the organization can choose only concrete contacts from the list they wish to forward the request to. They can also filter the list and send the request only to the people who fill the specific requirements. Additionally, the on-demand staffing app enables communication (and file sharing) between the organization and suitable temp within a chat feature, either in a one-on-one or in-group chat. No additional channels in the on-demand staffing app for recruiting a temp are necessary. Availability of the substituting labor. In the last quarter of 2018, the app helped to solve 5,000 substitute hours in Norwegian kindergartens and schools, with the help of in-house as well as with external contacts. Time-saving. The person who is responsible for finding temporary staff in kindergartens spared approximately 30 percent of their work time thanks to the app. Cost saving. Compared to temp-agency mediation, the app enables to employ temporary staff for lower costs. 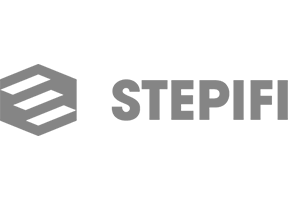 We don’t have precise calculations due to the variable cost of temp agencies, but STEPIFI lowers the cost considerably since you have direct access to your own pool of workers. The on-demand staffing app service has now been deployed to private sector businesses and is currently in use in Norway. "We are creating a solution for organizations that need to save time and money and don’t want to pay expensive staffing agencies money when they can do it themselves. Helmes has understood our business needs and created exactly what STEPIFI needed to launch the solution in the market. When working with a super-agile solution, you need to be agile in the way we work together, as well. Helmes solved this skillfully and continuously improved the development process." If somebody wants an app, then what should one consider? If you want an app – and, like in our case, are to sell it to a given market – do thorough market research; you cannot learn enough of the market/users you are approaching. A good question you can ask yourself – are the users that are experiencing a problem (the users of the app) the same people that are to pay for the solution? Is it necessary for an app? Can we solve it in another way? Personally, I love apps, but we see a trend where we don’t need apps for everything anymore. It should be a valid reason for building an app. It must provide more than just an added value – it must provide something that you can’t do in any other way. If you are to make a custom app, make sure that you know what that means. It needs continuous development and improvement. Users expect that everything is to work flawlessly – if one thing is off, the expected result is bad. App users expect great UX and zero downtime. Have this in mind when setting up your team. My team developed the solution. Let me know if you have a software challenge to solve! We can help. Helmes is an international software house headquartered in Tallinn, with clients across all of Europe. The long-term success of Helmes is built on lasting partnerships that bring about tangible business gains for our clients. For over 27 years in business we have provided custom software development services to more than 500 organizations. Our clients are the leading telecom operators, banks, insurance companies, logistics corporations, healthcare providers and government institutions. Even though custom software development is our passion, we do care about many other things as well. We contribute to the following initiatives. assisting disabled people to obtain IT knowledge and engage them in work. We have teamed up with other Estonian entrepreneurs to set up a philographic fund, which aims to offer seed capital for innovative solutions, principally in secondary education in Estonia, with a target spend of over €1 million, which it already has to hand, over the next three years. Developing students’ knowledge in the sciences, creativity and their ability to work in a team, which are the key competences of modern economy, are a focus of the program.